The 10 Best Pubs in Washington! 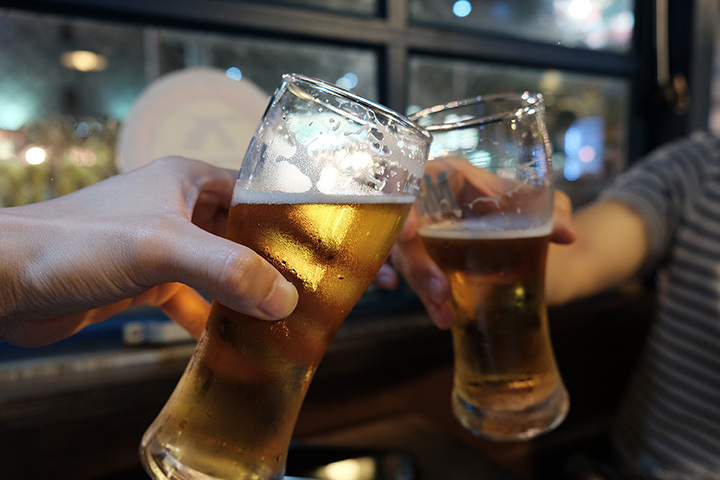 Pubs are great places to meet up with friends, grab a bite to eat with co-workers, play a few games, and just relax with good food and a cold drink. With designs that range anywhere from modern and contemporary to historic and rustic, these 10 pubs are representations of the best in Washington State. Tippe and Drague Alehouse in Seattle, Washington, isn’t your typical pub. The red brick exterior and casual bar interior uses locally sourced and sustainable ingredients for a dynamic menu of healthy delicious food for a variety of food preferences. With a rotating choice of on-tap beers that represent the best of the state, they also have open mic and trivia nights, and a Sunday brunch that will make you glad you didn’t sleep in. Whether you’re looking for a new place to try lunch or dinner or a special place to grab drinks with a friend, the Coug, located in Pullman, Washington, is a great choice. The writing really is on the walls at this trendy club pub, and you never have to ask twice to celebrate life. There’s always something going on from birthday parties to holiday get-togethers to pre-game, game day, and post-game occasions. The Coug is a popular place for Washington State University students and is open every day for your celebration connections. Taking its name from the beautiful Olympic Mountains where silver was discovered, you’ll discover the value at Silver City Restaurant and Ale House when you visit, too. Located in Silverdale, Washington, this quaint pub is at the convergence of extraordinary and superb when it comes to fresh and innovative foods and a fine selection of year-round international ales. There’s something about the smoky-colored atmosphere and golden hue of the lighting that’s very inviting at Ridgecrest Public House. Located in Shoreline, Washington, this modern establishment lies directly within an historic commercial area of the neighborhood, and provides a home away from home for locals and those visiting from elsewhere. With 18 beers and more on tap, local and state adult beverages are featured by the glass or in flights, and different food trucks are available on select nights to satisfy the hunger pangs. Located inside the Orion Cinema in Yakima, Washington, Mickey’s Pub offers adult beverages and non-alcoholic drinks and a nice selection of finger-licking appetizers, salads, soups, burgers, tacos, pizza, and some of the best mac & cheese dishes around. Daily food and drink specials and Happy Hour that features rotating taps, they also have popcorn for your favorite movie. Located in the heart of Tacoma’s historic section, Edison City Alehouse is a comfortable neighborhood bar. Sports pennants, bookcases, colorful maps, and hobby décor lends a homey feel to the place. Open since 2015, Edison City Alehouse has become a favorite place for beer enthusiasts who can sample a rotating selection of craft beer and cider for sale by the glass or bottle there or at home. Open daily. With two convenient locations in Vancouver, Washington, Grapes ‘n Growlers has 54 taps of beer, wine, cider, and kombucha to sample. As a great place to join friends and discover new favorites in drink and food, you can also fill your own growler and take home your best choice. Open every day, Grapes ‘n Growlers offers Happy Hour and daily specials that pair well with whatever you’re drinking. From snacks to full sandwiches, they also cater to those who prefer gluten-free options. The Flying Goat in Spokane, Washington, redefines cool. With traditionally-inspired Neapolitan-style pizza and great flavor at the heart of their menu, the name of this eatery comes from the European idea of friendship and a place where friends gather. The flavor is literally baked in to everything they make because of the 2,500-pound Woodstone oven used for the pizza and pies, and homemade sauces, dressings, and marinades enhance the freshness of locally sourced ingredients. The interior of the pub features the paintings of local artisans, and even the wood used throughout the pub from a 1910 grain elevator is a tribute to their collaboration with their surroundings. According to owners Thomas and Danielle Palmer, what sets them apart as a fine dining pub is consistency, quality, service, and atmosphere. Social media reviews seem to support that and indicate they’re doing a great job. The Oyster & Thistle Restaurant and Pub in La Conner, Washington, is reminiscent of an old English-style country inn, and the approach to food preparation there is a fresh and from-scratch one. With small plates that feature what’s local to that area, oysters are the primary ingredient in many of the dishes served there, but escargot, duck, beef, lamb, and salmon can also be found on the menu. You can count on the friendly and knowledgeable servers to help you select the right accompanying wine or beer for your food choice. View more Washington Bars and Saloons.